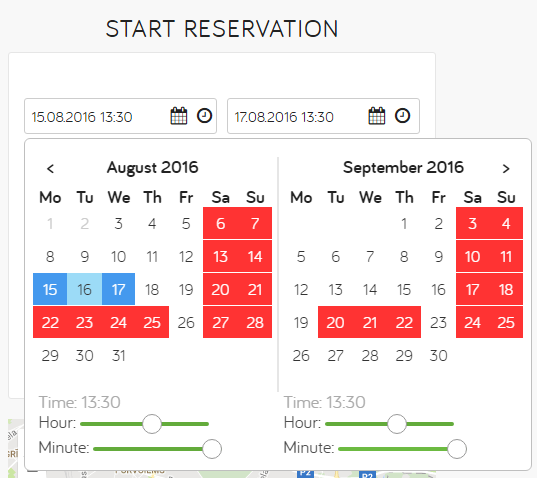 Starting from August car owners on Autolevi can mark in the car calendar when exactly their car is not available for rental and receive the reservations only for those dates, when it is. For renters this of course means that it will be easier now to book and get the car – if it will not be available the dates will be red. For renters there will be only 2 changes. Secondly, the calendar has gotten a face-lift and now it is more pleasant to look at it as well as to use it. For car owners we have done bigger changes and added a section where they can now manage car availability and see rentals. How it works? Car calendar will be visible under the button “Rental calendar”. If you haven’t uploaded your car on Autolevi yet, then please register and add your car in your profile pressing “Add car“. If the car is unavailable for example on all weekends, you can put that in the calendar by clicking the days of the week on which it is always unavailable. You can also add specific dates, for example if you go on the trip with the car or you just will not be able to meet the renter and give him the car. Click once to select the start date and once to choose the end date and press button “Add these dates”. The car will now show unavailable for these dates. On the right side you will see the list of unavailable dates. If your plans are changing, you can always remove dates from the list and the car will be available again. To improve the service, we must ask you – please, keep the calendar updated at all times. If you have forgotten to do that and you get a reservation, please, take the time and go to the car calendar after rejecting reservation and mark the dates, when the car is unavailable, so the renters can see that. Please let us know what you think about the new calendar by dropping us a line in the email. 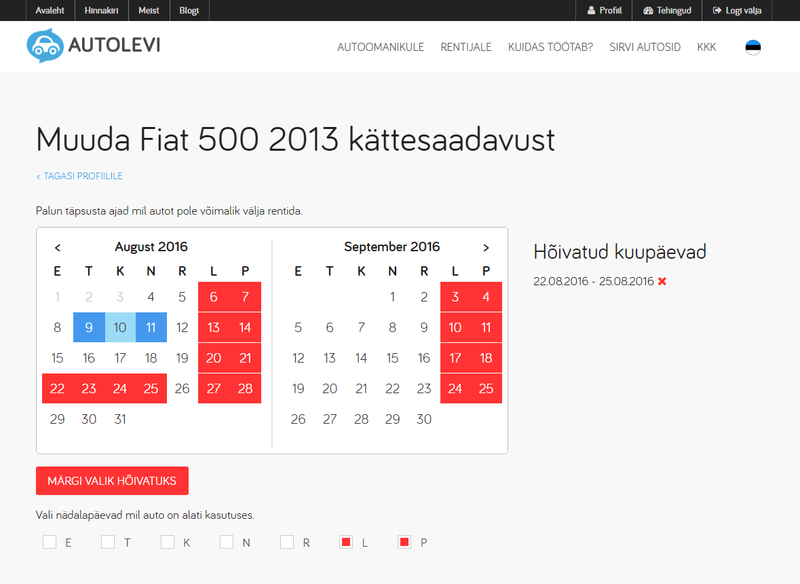 If you already have a car in Autolevi, please go now and fill in the rental calendar!